Like many other parts of the country, California continues to be under water restrictions and while we've had a lot of rain recently that doesn't mean we can start wasting water again. As a result, my car looks terrible. It has dust, pollen, bird stuff, road grime all over, and ironically even beads of wax left over from my last car wash months and months ago. I've avoided regularly washing my car like I once did because frankly it's appalling how much water is wasted that way. While commercial, automatic car washes are far more efficient with water than washing at home with a hose and bucket, it's still a huge waste of water. That's why I was excited to try the new Armor All Ultra Shine Wash Wipes when they asked me to try them out recently. Armor All is one of my favorite brands that for many years has helped me keep my car clean and looking great - inside and out. Frankly, even if these Ultra Shine Wash Wipes hadn't worked as well as they did, I was willing to give Ultra Shine Wash Wipes a try. The idea of wasting 100 gallons of water in a typical home wash scenario or even 40 gallons in an automatic wash is simply crazy when there are wells running dry across the state. However, I was pleasantly surprised that they worked great - no water required. Despite my test case not being a fair test since my car hasn't had a proper wash in months, the Armor All Ultra Shine Wash Wipes performed very well. They cut through the baked on dust, bugs, and road grime easily. 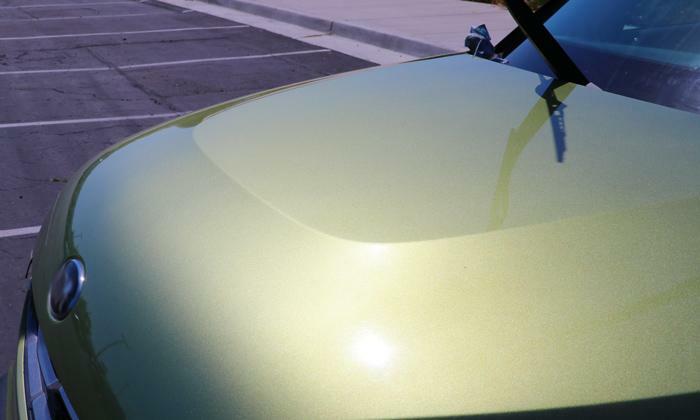 However, it was still tough work to wash the entire car this way as well as using it to detail specific areas around edges and baked on grit - especially along the lower panels where I found tar and oil accumulation. Even in those cases though it was able to fairly easily clean those tough spots and this is where I think the product really shines. Plus, I didn't have to worry about getting wet and messy during the job. While home washes might be more effective, but horrendously wasteful, and automatic washes are better but often inefficient for detailing, Ultra Shine Wash Wipes are a great as an intermediate solution. For example - if you normally would visit the car wash monthly, you could now cut that in half. Simply keep these in your car to wipe it down after a heavy pollen day or for detailing before running it through a quick wash. Either way, I was impressed with my experience during our review. 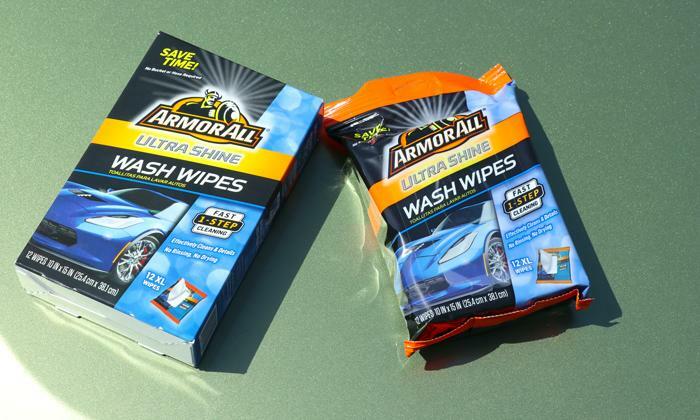 Armor All Ultra Shine Wash Wipes can be found at Walmart and other retailers as a 12 pack of moist towels for less than $10. Simply take one out of the packaging and open it up then use like you would a paper towel on the kitchen counter to wipe up all the dirt. Depending on how dirty your car is (or how large it is), you may need a second towel. Even if water conservation isn't a concern of yours these wipes serve a great purpose as something that is easy and convenient for quick touch ups. For instance, before meeting with an important client or maybe even before date night, you can take one of these Ultra Shine Wash Wipes and make sure that chrome and hood etc. are wiped down so that you can present a fantastic first impression. This shows your guest that you have your stuff together and are on top of things!